30 ton winch is kind of heavy duty winch. 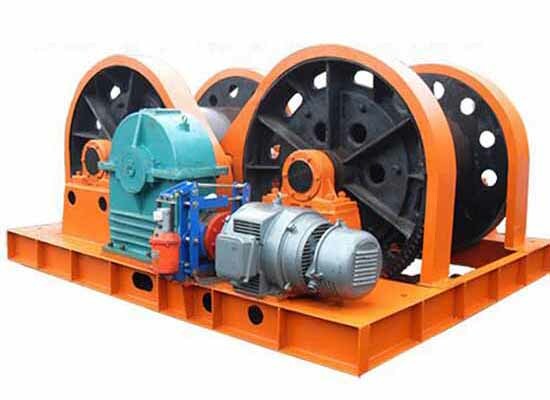 With powerful loading capacity, reliable performance, high safety, 30 ton winch is widely used in factory, warehouse, construction site, railway building. It can increase working efficiency, save labor resource, energy, time and improve working conditions. This kind of winch has different types. 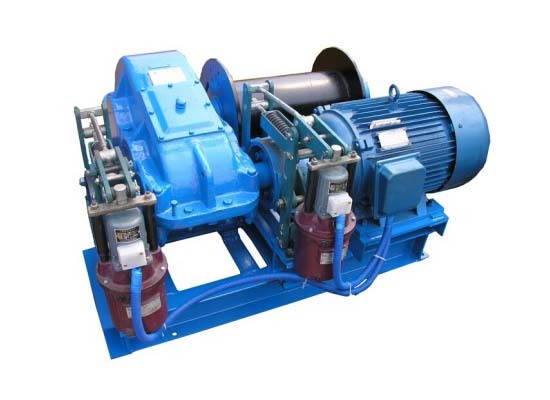 For power supply, 30 ton winch includes electric winch and hydraulic winch. For lifting strap, it has cable winch and wire rope winch. 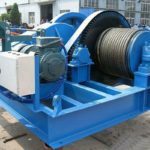 Our company, one of reliable winch suppliers in China, has various types of winches for sale, such as electric cable winch, small electric winch, high speed winch, slow speed winch, tugger winch, wire rope winch, electric pulling winch, free fall piling winch, friction winch, drum hydraulic winch, small cable winch. 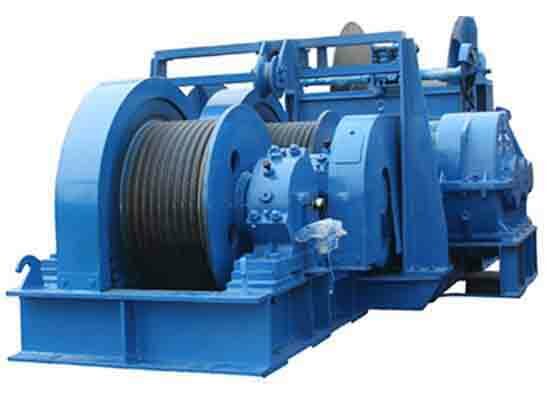 All these winches have top quality, factory price and reasonable design. For customized marine winch or construction winch, just send quotation to sales@crane.pk. Our company also set agency in Pakistan to make more effective purchase! 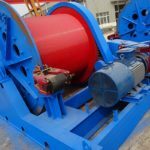 Why choose 30 ton double drum winch in Pakistan? Compared with small winch, such as 1 ton winch, 2 ton winch, 3 ton winch, 5 ton winch, 30 ton lifting winch has larger lifting capacity. It can drag or pull heavy material stably and safely. With complete safety protection devices, high efficiency, 30 ton winch is a great choice for heavy work. 30 ton winches have kinds of types. 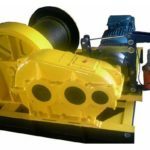 Customers can choose the suitable one according to practical use, such as hydraulic winch for longer distance drag, double drum electric winch for heavy pulling, low speed winch for constant tension lifting, fast speed winch for frequent work, traction winch for smooth and slow lifting. All these winches are available in our company, reliable quality and affordable price! There are many basic construction works in Pakistan. It needs reliable and powerful construction winches to lift heavy material. Heavy duty winch is a great choice! How to use an electric winch? Every winching situation has the potential for serious personal injury. To minimize that risk, it is basic requirement to know proper electric winch operation. Familiarize yourself with the operation of your winch before using it. Your constant focus on good judgment and winch safety are of great importance. Always assure that the equipment such as hooks, pulley blocks, straps are properly sized and rated. 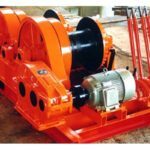 Electric winch is mainly composed of drum, motor, gear, cable/wire rope. A drum is circular in shape and allows the wire to be neatly wrapped around it. The motor drives the drum to turn. A gear train takes the power from the motor and coverts it into pulling power, giving the winch the ability to pull heavy material. A cable wire is wrapped around a drum to prevent entanglement. Different parts of a winch combine to make an effective machine. The cable wire is pulled out and attached to the object you plan on towing. Once attached, the motor is turned on to turn the spool, and pulls the cable back towards the winch and neatly around the drum. No matter what your circumstances, safety is your first priority during ant recovery or utility option. Common sense rules like never using a winch or hoist or pull people usually apply. Here are some basic safety tips that should always be followed when operating a winch. Always use gloves when operating a winch, especially when using wire rope. Individual wire strands can sometimes break, which can lacerate unprotected flesh. Keep your hands clear of the winch drum during operation. If using a wire rope, spread a blanket or towel or some other object on the rope. If a wire rope snaps, the stored kinetic energy can create a whipping effect. Placing something on the cable will dampen this in the event of rope breakage.